Shipping and protecting temperature sensitive products have become an integral part of pharmaceutical and animal health companies. According to Pharmaceutical Commerce, spending on cold-chain logistics is set to grow from $13 billion to more than $18 billion by 2022. Cold-Chain logistics of temperature-controlled products is serious business. While advancing technologies are offering new options to transport temperature sensitive items on a regular basis, some challenges are still evident. What basic challenges are companies still facing with cold chain packaging and how can they be dealt with? Companies continue to use passive cold-chain packaging solutions that come with poor insulation properties (low R-value). Packaging solutions with low R-value capabilities such as styrene can only maintain temperatures up to 36-hours. This forces companies utilize 1-to-2-day shipping options that are becoming more expensive due to increasing freight, fuel, labor, and overhead costs. 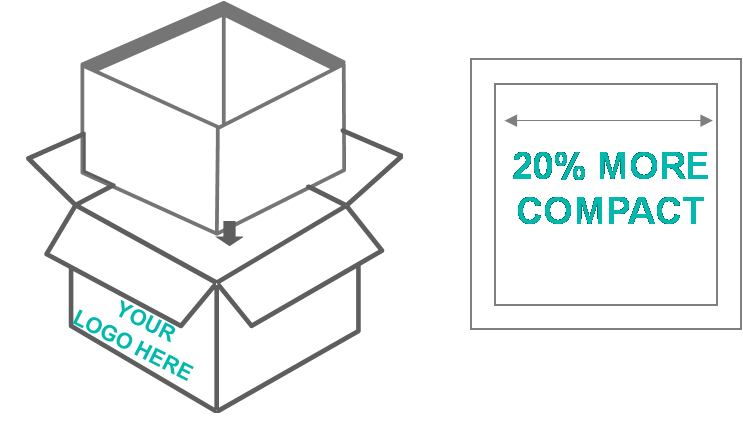 Overnight/Next-Day Air shipping rates are 40% to 60% higher than standard Ground shipping. For cost-conscious and large companies alike, shipping cost alone can significantly impact their bottom line. It becomes a constant battle with logistics carriers to keep freight costs down. Solution #1: Higher R-value cold chain packaging can ship human and animal specialty pharmaceuticals, vaccines, biologics, and other temperature-sensitive products over longer logistics cycles. One such solution is the use of two-part polyurethane, a sustainable material, that can maintain controlled-room, refrigerated (2-8°c), frozen (-80°c to 0°c) temperatures up to 120 hours. This allows companies to use cost-effective Ground shipping methods for small parcel which can drastically reduce shipping costs. For bulk shipments, companies can use passive collapsible insulated pallet shippers which can help companies move away from the use of refer (refrigerated) trucks. During transit in a truck, plane, or some other logistical method, ambient environmental temperatures change drastically depending on the shipping region. For example, in hot geographical areas such as Phoenix, San Diego, or Orlando, vaccines begin losing its efficacy within minutes after internal payload temperatures breach the required temperature range. Due to costs and because it’s not necessarily required, many specialty pharmaceutical and biologic companies opt NOT to use temperature-monitoring devices to track the shipment’s internal payload temperature to ensure that it arrives to its destination safely. Solution #2: From cost-effective temp strips to high-end Bluetooth/RFID real-time sensory monitoring devices, numerous monitoring options exist on the market to monitor and track internal payload temperatures during shipment. As new technologies are developed, inevitable regulatory oversight increases, and demand for monitoring continues to rise, costs of temperature monitoring devices will continue to decrease as it becomes symbiotic with cold-chain packaging. It’s difficult to make sense of which cold chain packaging is truly recyclable in an industry that uses a plethora of catchy buzzwords interchangeably without much clarification. Are companies truly using a sustainable and 100% recyclable product? From a packaging standpoint, many solutions on the market claim to be 100% environmentally friendly. This is not the case when sub-components such as liners or gel packs are often not recyclable and need to be separated before discarding. In addition, companies should also consider looking at the actual manufacturing process that potentially adds to the carbon footprint. Reducing your carbon footprint, aiming towards being “carbon neutral” (zero carbon footprint), or even better, “climate positive (also known as carbon negative)” are a challenge for many cold supply chains. Many variables come into play, including inbound freight, warehouse space, forklift use, fuel, and all the other factors that contribute to shipping product. In many cases, companies don’t calculate the environmental impact of cold-chain packaging manufacturing, materials, and transportation. Besides increasing shipment costs, these processes have an adverse effect on the environment. without having to do anything else. Refrigerants (e.g. gel-packs) CAN be 100% curbside recyclable, and some can be emptied onto plants and greenery as a means of fertilization. Postage-paid programs or closed distribution loops conveniently allow sustainable, recyclable items to be returned directly to geographically dispersed recycling centers for reuse/repurposing. From a logistics standpoint, there are recyclable solutions such as knock-down coolers that reduce transportation costs due to their ability to fold flat. When palletized, these collapsible coolers can save up to 50% warehouse and truck space, reducing the overall fuel consumption. From a manufacturing standpoint, when compared to styrene or EPS foam, polyurethane foam doesn’t just have better insulation properties for shipping temperature sensitive products – it’s also manufactured without burning fossil fuels to help reduce the carbon footprint. Companies that provide passive insulated shipping coolers often offer standard-sized shippers, which forces companies to purchase larger-than-needed packages which is like attempting to put a square peg in a round hole. Ultimately, using stock sizes can increase inbound and outbound freight and shipping costs. Solution #4: Custom spec shipping coolers can make it easy to transport non-standard temperature-sensitive products. However, most custom molded packaging solutions are often too expensive. Finding a manufacturer that offers custom cold-chain packaging sizes without use of high cost custom molds is key. A compact custom design not only keeps shipping costs down, but also maintains the most optimal internal payload temperatures regardless of product size or shape. Be it food, specialty pharmaceuticals, biologicals or specialty chemicals, every industry has its own set of regulations which may or may not require strict compliance. 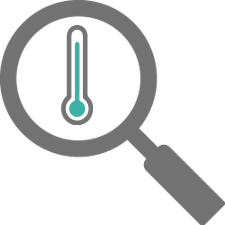 Standard operating procedures ensure the proper temperatures are maintained throughout the logistics cycle. Unfortunately, improper packaging and lack of control during the logistics process can force companies to break protocol (sometimes without even realizing it). The use of non-validated packaging solutions or equipment can result in product failures and excursions. This can then result in enormous costs to replace the product and creates risk of litigation – every company’s PR nightmare. Solution #5: Using pre-qualified solutions is sometimes not enough. 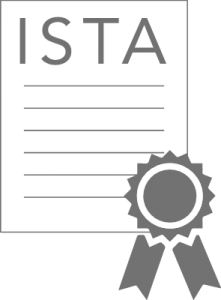 While not always required, 3rd party ITSA validation provides an additional insurance policy along with the pre-qualification process that cold-chain solution manufacturers offer. This provides an added layer of security to ensure the packaging is in full compliance with national and state regulations. Companies should choose all the cold chain packaging materials are pre-qualified and ISTA 7D/7E validated to ensure proper regulatory compliance. The cold chain packaging industry faces numerous challenges in protecting temperature-sensitive products. By using high-quality sustainable packaging materials, temperature-controlling equipment, and proper package sizing, many of these challenges can be mitigated or solved. If you need assistance addressing specific cold-chain challenges in your supply chain, help push towards a sustainable solution, or need guidance on temperature-sensitive packaging options, feel free to contact Chill-Pak™ for free tips and advice.